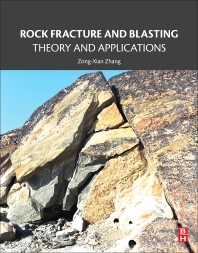 Rock Fracture and Blasting: Theory and Applications provides the latest on stress waves, shock waves, and rock fracture, all necessary components that must be critically analyzed to maximize results in rock blasting. The positioning of charges and their capacity and sequencing are covered in this book, and must be carefully modeled to minimize impact in the surrounding environment. Through an explanation of these topics, author Professor Zhang’s experience in the field, and his theoretical knowledge, users will find a thorough guide that is not only up-to-date, but complete with a unique perspective on the field. Dr. Zhang has published over 70 articles including 20 ones in international journals such as International Journal Rock Mechanic Mineral Science from Elsevier. Some of them are cited by more than 60-70 in Scopus. One book was also published in China. Has extensive experience on Rock Blasting problem solving.